So I have a little announcement to make: my line of illustrations and paper goods, Gingiber has moved to it's very own storefront! 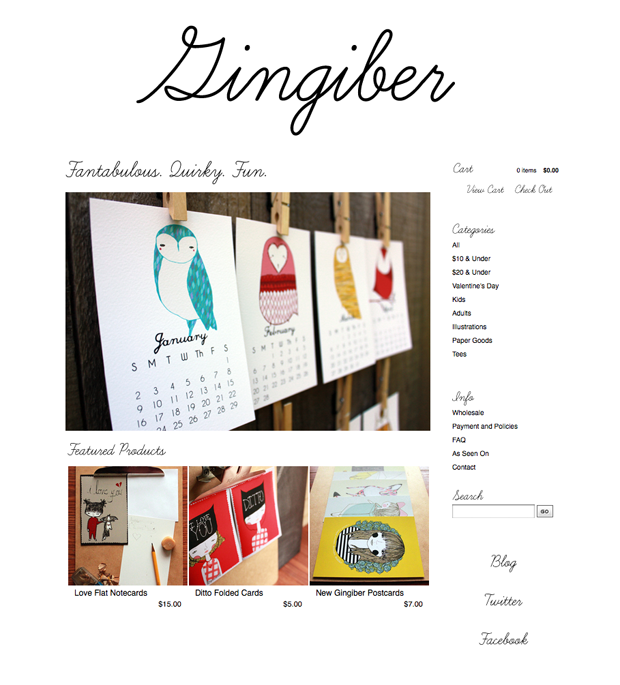 shopgingiber.com is Gingiber's new online home! I have loved selling through Etsy, and will continue to keep my Etsy store open until products expire, but I recently realized that it was time to make a change. I was inspired to make the move after reading a great blog post written by Maggie over at GussySews about the benefits of Big Cartel vs. Etsy (read the full blog post here). Her story was compelling, and after doing much research on my own (checking my Google Analytics referring sites, Monthly Etsy Fees, the benefits of having my own URL, etc.) I decided to dive in! To Celebrate the Grand Opening of shopgingiber.com I am offering all readers a 20% discount when you enter discount code "GrandOpening" at checkout! So please take a moment to click over to my new store, Shop Gingiber, and browse the merchandise! Along with the new store comes cleaner branding (I ADORE my new font), brighter product images (still finishing up shooting some product pictures), and a fresh start for me and my business! 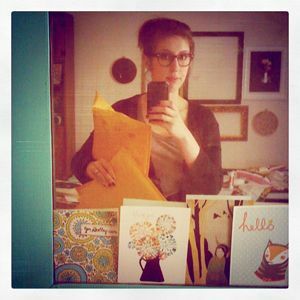 I want to say a huge thank you to everyone who has shopped at my etsy shop the past year and a half. You have given me the courage to expand my brand and to go after the dream of running Gingiber full time. I'm well on my way thanks to you, friends!